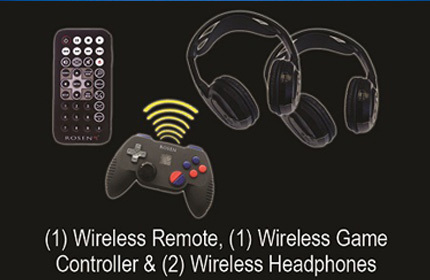 Design to provide you with countless hours or rear seat entertainment for all your occupant’s, the system features include Dual DVD, Wireless headphones, Built in FMT as well as built in video games and Auxiliary inputs for optional devices. Rosen takes pride in its factory match quality with OEM Design and a Factory Fit & Finishes from all angles. 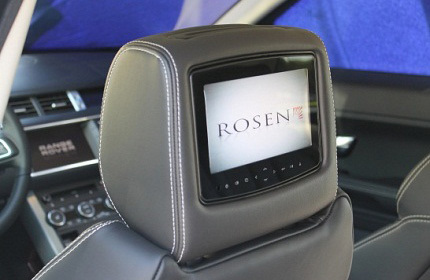 Rosen AV7900’s are engineered with Safety in mind and meet or exceed all the Federal Motor Vehicle Safety Standards (FMVSS) to insure the safety for all occupants. Rosen Headrest solutions feature factory Match Design to ensure the Color, Shape, Stitch Design & Color and Texture for a perfect match to your vehicles factory interior. 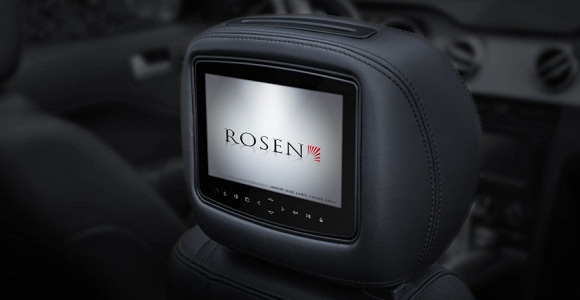 All Rosen AV7900 systems come with a factory match warranty when purchased with your new vehicle. 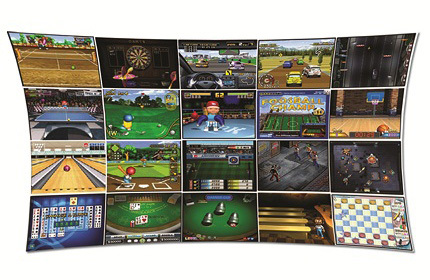 Included in each Rosen AV7900 system are.